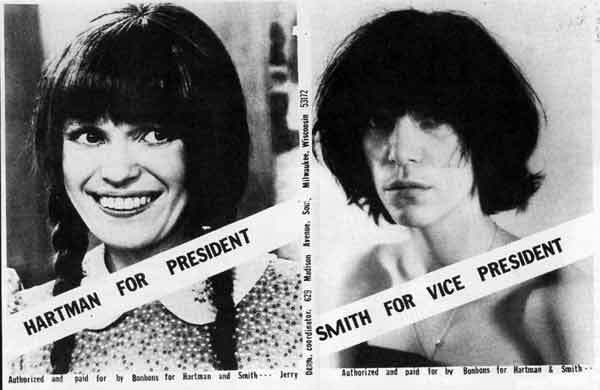 “Dreva livens up the most boring presidential election in memory with two flyers promoting the candidacy of Mary Hartman for president and Patti Smith for vice-president of the United States. Smith accepts nomination as “president of vice” during Milwaukee concert. Edition 1500″ Source: Suzan Carson, “Have You Heard From Dreva?” High Performance vol. 2, no. 2 (1984), p. 17-30.